People of Soufriere: Catherine Ruth Lawrence - My Grandmother! I'd like to think there's a system to my madness, and it all has to do with timing. Just this weekend, while chatting with my husband, I said, "2011 big plans, a relocation (move), baby number 2 and my master's!" He responded, "You're ready for the challenge!" So to explain to you, this was part of my professional goal statement. 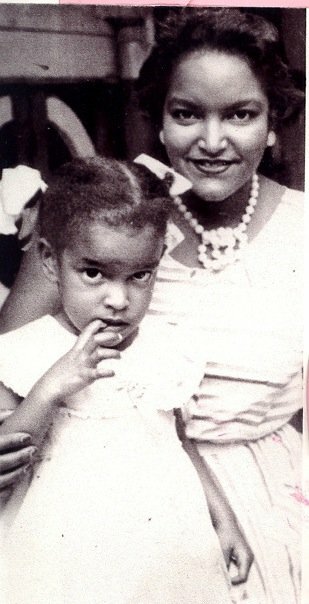 Inspired by Obama, my daughter and my deceased grandmother! "President Obama's recent State of The Union Address speech was my "Aha! Moment," according to Oprah. I was inspired when President Obama said, "The future is ours to win. But to get there, we can't just stand still. As Robert Kennedy told us, "The future is not a gift. It is an achievement!"" Other parts of the President’s speech inspired me, "It's family that instills the love of learning in a child." As he spoke, I was having a conversation with myself, "How am I instilling the love of learning within my child?" For the first time in eleven years, since earning my Bachelor's, I was suddenly enthusiastic about higher education. President Obama sealed the deal when he said, "Your country needs you." As a now naturalized US citizen, for the very first time, I felt like I could be part of the American dream. "Others come here from abroad to study in our colleges and universities," I too, was one of those immigrants he referred to, initially sent here by parents to get a better education. Only exception, I never returned home to compete against Americans, I became an American. My heart was tugged as President Obama spoke of and when Kathy Proctor, a mother of two stood up. A woman who had worked in factories since she was 18 years old and is now earning a degree in biotechnology at the age of 55, not because the jobs are gone, but because she wants to inspire her children to pursue their dreams too. As Kathy said, "I hope it tells them to never give up." Instantly, I remembered my now deceased Caribbean grandmother, my mom’s mom. At a time when women stayed home, my grandmother went to college and earned her degree. My grandmother bought her own house, car, fridge, travelled the world, at a time when each were novelties. She was a trailblazer and remains an inspiration, even in death. It is my hope that I inspire my daughter and others who may ever come into contact with me. " - taken from my goal statement letter. Not even my mom, knows of my recent decision. So what incredible timing, to get an email from my mom this morning, "Thought you would like to see this. Ruthie one of the Soufriere folks. lol"
.... And time to gloat, she's the only lady in the bunch! "Catherine Ruth Lawrence was born to Catherine Morgan in Soufriere on April 30th, 1928 and was married to Lilburn Alexander Kenneth Lawrence on 11th April, 1953. They had three girls and one boy. 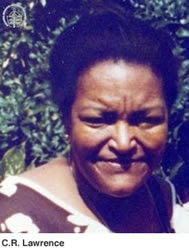 Catherine Ruth Lawrence was educated in Soufriere, St. Joseph’s Convent and Carleton University, Canada. Catherine was the first girl from Soufriere to win a Scholarship to the Convent. She began her career as a clerical worker when she was appointed to the post of Administrative Officer, General Post Office in 1956. In 1960 she joined the Audit Department where she remained until 1962. Between 1962 and 1980, she worked as an Administrative Officer in several Ministries. These included the Ministry of Trade (1962-1970), the Ministry of External Affairs (1970-1974), and the Ministry of Health (1977-1980). In 1963, in conjunction with her duties in the Ministry of Trade, she was also specially appointed the first female Probation Officer. Over the years Catherine R. Lawrence found time to devote to voluntary service as well as to being a caring wife and mother. She joined the Ladies of Charity (1949-1960), was Lady Cub Master of the St. Mary’s College Wolf Cub Pack (1949-1957) and Commandant of the British Red Cross Detachment from 1950-1957. 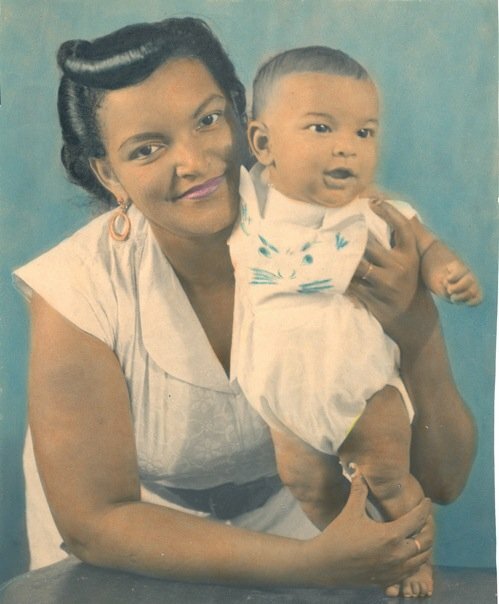 Catherine R. Lawrence also served as the General Secretary of the St. Lucia Civil Service Association (1962-1966) and became a member of the St. Lucia Women’s Association between 1950 and 1957. In 1976, she joined the local Club of the International Federation of Business and Professional Women. Between 1983 and 1986, she was the President of the National Association of the Partners of America, and then became involved in the Family Life Education Movement in 1987. During that same year she was awarded a Certificate for Meritorious Service from the Partners of America and in 1988, she was awarded the Public Service Long Service Medal for her contribution to the Public Service. Catherine Lawrence also served as Administrator of the Upton Garden’s Girls Centre. 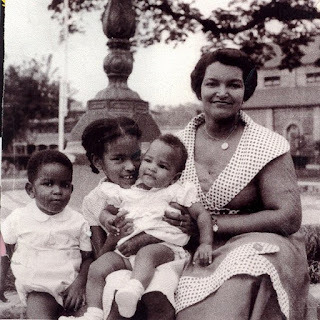 In 1974, Catherine Ruth Lawrence became the second female to be appointed Permanent Secretary in the Saint Lucia Public Service, a position she held for three years (1974 - 1977). She served as Permanent Secretary in the Ministry of Communications and Works from 1980 to 1982. She was later transferred to the Ministry of Community Development, to function in the same capacity until her retirement in 1983. ... And I always have a story, my grandmother died, February 1997. I was only in my second semester in college. 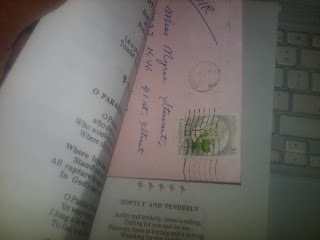 She would write me often, via mail. Letters and stamps, delivered by a postman! Those were the days, I too, used to buy cards for every imaginable occasion and mail them. I had bought my grandmother a Valentine's Day card. 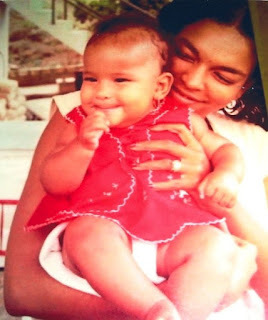 *Le sigh* .... Christmas' 96, she sent her last letter to me, inviting me to go to lunch with her on December 23, 1996. I don't think I ever went, while on holiday at home. Priorities a bit skewed, I suppose. Since Valentine's was the next occasion, I decided I could make up by writing her and sending a card. Well she died, February 11, my card saying sorry was in the mail. I asked that my card be buried with her, which it was! After writing, this post, I ran through my saved letters from friends and family. I found my grandmother's funeral service program, and I apparently had stapled her last letter to me! Wow. As a child, my grandmother was far from my favorite person. She hated when I spoke slang, and I recall her one time, challenging me to speak, 'proper english!' I did not take too kindly. Yet, I admired her free spirit, impeccable style, and refined tastes. As a child, my grandmother would leave, really disappear for months to travel the world, even leaving behind my grandfather to fend for himself. She'd been every where. Basically, we would discover the continent, months later when a postcard from some exotic place would be delivered, signed 'Ruth(ie).' I particularly remember the 'Nice' postcard. 'Nice' had a nice ring to it! She would return with 'liquers,' I believe she collected them. She offered the most divine chocolates too. I laugh, she's been in my mind lately, every time I hand my daughter a chocolate covered mint. My grandmother introduced me to 'After Eight' dinner mints. Despite, working in a male dominated world. She was always perfection and the least bit masculine. She had the softest coifed hair. Thanks to weekly visits to the hairdresser. She always wore fake pearls, necklaces. I believe my love affair with pearls comes from her. I'd take pearls over diamonds any day. I could still see her touching up her lipstick after lunch, or a cup of afternoon tea! Don't even talk about the boot of her car, license plate number '11' ... the eleventh person to own a car in St.Lucia, was a barrage of shoes, heels. I had the pleasure of viewing a few times. It just symbolized her lifestyle, "On the go, places to go, people to see!" Most striking still was her devotion to Christ, the Roman Catholic church ... I laugh, because in that last letter she wrote me, she was asking when was I going to make my confirmation. LOL! The following pictures are in my daughter's room, so that she will always remember our 4 generations! THANK YOU , for that blog. I really admire you, have always respected you, and your outpouring love for your family. I actually read the entire blog on my phone. Lol. I have been fighting since three years ago to enter college, now since I was educated back home, CUNY gave me a run around. I have paid application fees, which aren't refundable, have sent my transcripts, and still nothing. Then my daughter came along , and that was my motivation to start over, I was accepted at CTU online (colorado technical university), with work and a kid, I figured online would be better for me. I then decided since I ve been out of school for so long, I need one on one time /actual feel of a classroom to really accomplish anything. I missed Hunter's spring deadline by one day, it was Feb 1 st, I called Feb2 nd. I was depressed, but I didn't give up, I will apply for summer classes, keeping my fingers crossed. Obama's state of the union really touched me too, and you pointed all out in your blog :) . Haha. Thanks. Sometimes, I feel like who would really care. ... But you're a Scorpio too, so you know when that thing inside says speak up ... we do! LOL! ... And the timing of things are important to me. Girl, do it. It's never too late. Even thinking of my grandmother, she continued with her education. wow.. that makes me remember my grandmother who I was raised by ever more fondly! i called her Mommy just like my aunt and uncles some one would of really thought she gave birth to me in her old age like that bible story about Elizabeth! Its amazing how you can see your grandmother in ava sols expression! She seemed like a fabulousfabulous! Such a moving and wonderful post!!! My grandmother was an instrumental part of my life too. She really was the strength of the family, and boy was she SASSY!!! She wasn't an educated woman, or rich - but she instilled important values and taught her children and grandchildren the value and importance of life and family; she equipped us all for success. Thinking about her gets me motivated!! Even though I don't get to check up on the Sweet7 as much as before, I'm still here and you're doing a wonderful job! Keep the superb posts coming! I loved the post about your grandmother. That was very touching. All of you look so much alike and seem like proud and wonderful mothers!